Raising the state pension age for women is hitting the poorest hardest – and is having an impact on some men too. Two pieces of research published this week show the dangers of restricting access to the state pension to attempt to force people to work longer. The first was from the Institute for Fiscal Studies. It showed that more than one in five women (21.2 per cent) in the group affected by recent increases in state pension age were in poverty. This is up 6.4 percentage points on the situation pre-reform. 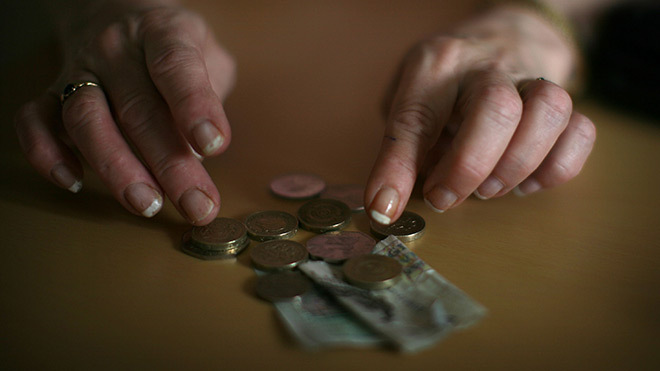 Meanwhile, analysis by the Centre for Longitudinal Studies found that the poorest pensioners are the least able to work into their later years. It concluded that men and women who had been poor during their working lives were the most likely to leave the jobs market between ages 50 and 55. Poor health was the key driver. These findings have been published weeks after the government announced a hike in state pension age to 68 for those currently in their late 30s and 40s. The figures add to the case for government intervention to help those hardest hit by moves to equalise state pension ages for men and women. They also undermine simplistic notions of intergenerational unfairness that in their crudest form seek to paint the babyboomer generation as a universally privileged group. The 1995 Pensions Act legislated to increase the female state pension age from 60 to 65 from April 2010. This move to equalise it with the male state pension age therefore affected all women born after April 1950. The process was accelerated in 2011, as part of George Osborne’s austerity drive. But with striking inequalities in life expectancy and healthy life expectancy, there were great worries that this would hit the poorest and most vulnerable hardest. This has been borne out by the IFS analysis. It shows that a third of single women aged between 60 and 63 were in poverty after housing costs. This is up 13.5 percentage points since before the reforms. Similarly, nearly four out of ten renters, up from around a quarter in this group, were in poverty. The IFS found that the 1.1 million affected women saw their individual incomes fall by an average of £50 per week. Increased income from earnings was not enough to offset the loss of the pension. The impact was more muted at household level. The IFS suggests that male partners are taking more in workplace pension money and benefit from greater entitlement to benefits. But men are not immune from these reforms either. Eligibility for Pensions Credit is tied to women’s state pension age, so there has been a sharp increase in the number of single men in poverty, up 6.1 percentage points to 23.4 per cent. It should be noted that the IFS suggested that those who suffer a drop in income in the run-up to retirement are at no greater risk of poverty once they hit state pension age. It also found no evidence of material deprivation, with those affected seemingly still able to buy key items. This, the authors said, was probably due to people “smoothing” their incomes to cover the gap between work and pension. However, there must be some doubt whether this will still be the case once the SPA rises further and the smoothing has to stretch further. What is becoming increasingly clear is that the hope that a rise in state pension age will lead to everyone working longer is fantasy. The IFS found that employment rates among women affected by the SPA rise jumped 9.8 percentage points to 47.8 per cent, still leaving most out of work. The TUC has previously warned about this. Our analysis showed that half a million (436,000) workers who are within five years of state pension age have had to leave the workplace for medical reasons. Those who have worked in the lowest paid jobs – including cleaners, carers and those doing heavy manual jobs – are twice as likely to stop working before retirement age due to sickness and disability than managers or professionals. The Centre for Longitudinal Studies, focusing on men and women born in 1958, found those who had more experience of being in a workless household were the most likely to have exited the labour market between ages 50 and 55. The most significant cause was poor health. Those in poor general or mental health at age 50 were around twice as likely as others not be working at age 55. In the absence of labour market reforms it is hard to see how raising the state pension age will allow this group to continue working. Rather it will mean greater reliance on working age benefits. It also makes it even more indefensible that the government decided to implement the recommendation of the recent Cridland review to accelerate the rise in SPA to age 68. Yet it ignored the (very limited) welfare reforms John Cridland said were essential to cushion the impact of such changes. 68 isn’t a new state pension age. It’s been in the law since the 2007 pensions act. All that’s been announced recently is that the rise to 68 will be brought forward. The government disregarded the 1950s women to such an extent they were completely ignored and never informed . I had no idea of the increase in spa until 3 months before I thought I was due to retire. Therefore, the 1950s women were never given the lawful 10 years notice that everyone else is getting. The 1950s women want equalisation to 62.5 years for both. When you consider that a 36 yr old from another country can start work here and only work until they are 68 to receive a full state pension and these 1950s UK born women are being forced to work and pay in for 51 years, that is not equalisation that is miss selling of an insurance product by the government. I was born 1956. I’ve worked fill time since 15 yrs old. It’s time this wrongdoing was put right. This government needs to realise that not all people have wads of money in the bank and not all people have office based jobs. My job includes carrying full boxes up 2 flights of stairs and on my feet for over 6 hours a time. I have almost cried many a time after doing a shift and I’m beginning to really despise this country for putting me through this. Don’t say find another job, who wants you.